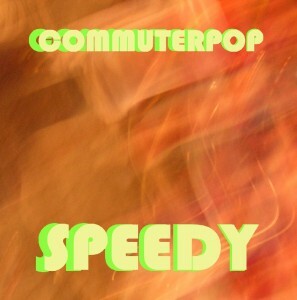 Speedy is a classic catchy song – commuterpop style. Originally I started working on this song in 2007. For some reason I really couldn’t move beyond the first parts, even though I really liked the idea. I’ve been listening to it on and off through the years without finding that divine inspiration that was there the first time. Sometimes you know that if you don’t force yourself to do it, it will never be finished and that was the case with me and this song, so here we go. Also, Bear from Out of Focus had some ideas to develop it to a more classical pop song instead of the dance music arrangement. I’m waiting eagerly to hear the result – it will be posted here. Also, check out Commuterpops page at Soundcloud!